When it comes to aesthetic injectables, post-procedure bruising is one of the most common reasons that patients are hesitant to undergo treatment. Unfortunately, even the most experienced injectors can accidentally puncture one of the face’s delicate veins without a little help. At Glow MediSpa, we believe that there has to be a better way to administer injections — that’s why we use the AccuVein® device during all of our injectable procedures. 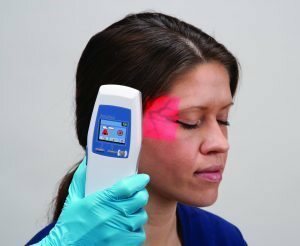 This simple, safe, and effective device allows our injectors to see all of the blood vessels in the patient’s treatment area, dramatically decreasing the likelihood of post-treatment bruising. Why do so many Patients Experience Bruising After Injectable Treatments? 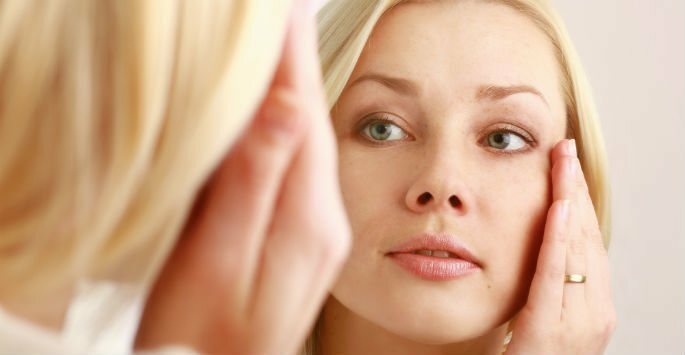 Within the aesthetics community, it’s a well-known fact that even the most skilled and professional injectors can leave patients with bruises after cosmetic injections. Bruises form when the blood vessels and facial veins below the skin are punctured during the injection process. Unfortunately, there is no reliable way to accurately predict the location of blood vessels or facial veins with the naked eye. This, coupled with the fact that the face is one of the areas of the body most densely populated with veins, makes bruising a frustrating but largely unavoidable reality of most injectable treatments. If you’re looking for a place to receive more precise injectable procedures, consider the benefits of receiving treatment at Glow MediSpa with AccuVein®. How can AccuVein® Help Reduce this Bruising? Glow MediSpa is proud to use the latest innovations in aesthetic care to provide patients with treatments that are both safe and effective. With AccuVein®, our aesthetic injectors are able to make patient care and comfort a top priority. Before beginning an injectable treatment, the AccuVein® device is passed over the patient’s desired treatment area. This device emits infrared light that is absorbed by the hemoglobin in the blood. As the blood absorbs this hemoglobin, the vessels and veins below the surface of the skin appear noticeably different than the surrounding tissue. This allows our injectors to select injection sites that skillfully avoid the delicate blood vessels in the area. While AccuVein® cannot eliminate instances of post-treatment bruising altogether, it does dramatically decrease the chances of its occurrence. AccuVein® is just a small part of Dr. Dee and her medical staff’s commitment to providing patients in the Greater Seattle area with a comprehensive range of safe and successful cosmetic therapies. If you’d like more information about your practice or how injectable treatments with AccuVein can benefit you, contact our Magnolia or West Seattle locations today to schedule a consultation appointment. We look forward to hearing from you!